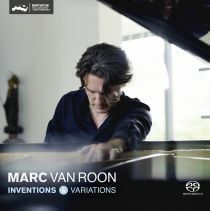 The new Marc van Roon trio performed on 29 August at the Koorzaal at the Concertgebouw (Hall) in Amsterdam (Robeco JazzClub series 2014). With Clemens van der Feen on bass and Tristan Renfrow replacing drummer Martijn Vink. Both sets were an adventure for me and meeting Tristan Renfrow and performing with him was great. Also it has been very special to perform live for a first time my original compositions of the CD 'Quantum Stories'. This concert was organized together with the Amsterdam Jazz Agency. I'll attach an audio file of an audience live iphone recording of the composition 'The Noodle Effect (in F)'!